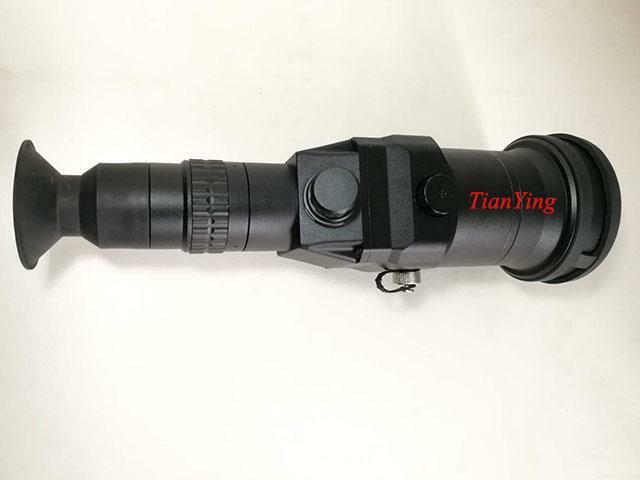 China TianYing T90 1200m sniper thermal sight/ night vision weapon sight fits on .308, .338 and .50 caliber sniping rifle mainly, delivers superior accuracy and rugged performance under the most extreme shooting conditions. 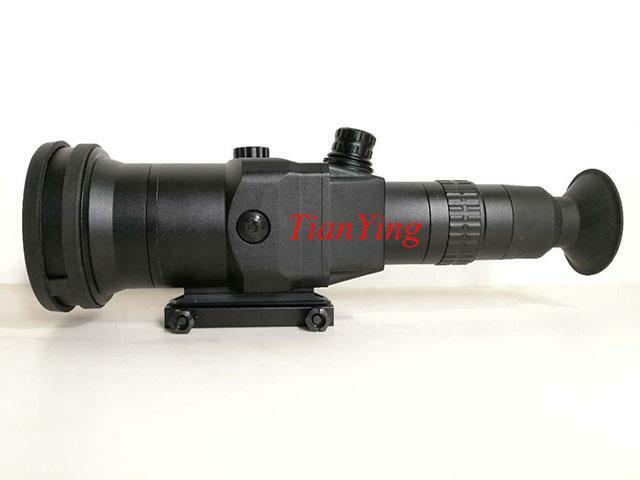 It allows .50 caliber snipers to recognize man-size targets in excess of 1,200 meters, long-range optics coupled with an HD display provides crisp imagery, and portrait orientation compensates for bullet drop at extreme ranges. 5, Engage targets at ranges within 1200 m, such as commanders, snipers, observers etc. individual important alive object, in day night all conditions, including total darkness, through smoke, fog, and most obscurants. 6, Engineered for battlefield use, successfully tested on weapons up to and including .50 caliber. 1) Lens Clean Tissue. 2) Instruction Manual. 3) Mil-Spec 18650 type rechargeable lithium battery. 4) Charger. 5) Video cable. 6) External power supply cable. 7) Mil-Spec Hard Case. 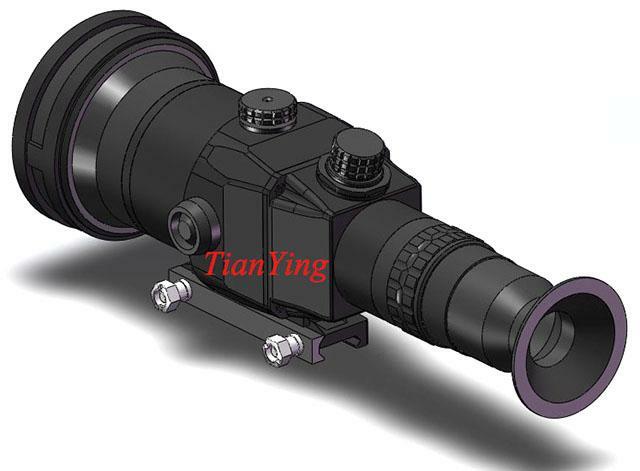 8) thermal sight with adjustable quick detach tow mount and coupling hood/eyepiece. 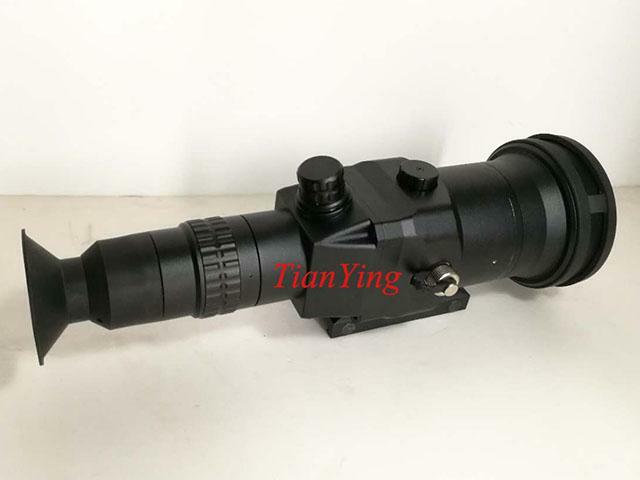 9) Lens cover.